Strawberry Thief Cross Stitch Pattern to print online. 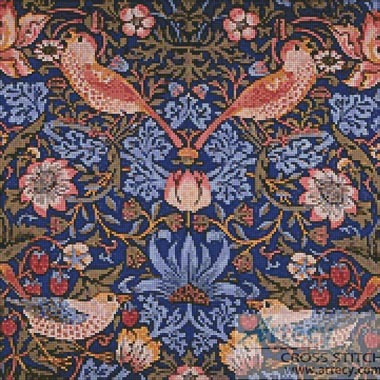 This counted cross stitch pattern is based on the artwork of William Morris. It would look good on a cushion or wall hanging.